Why had I decided to go to my 40th high school reunion? To fulfill a homework assignment? In the wee hours of the morning, I found myself second guessing my decision and looking for ways out. But during the daylight hours, I sensed my inner wisdom was right. And based on what I have regularly told my coaching clients, I was confident there would be a gift waiting for me if I only pushed through my self-doubt and fear. I had been listening to Byron Katie lately and decided this would be an excellent application for, “The Work.” How I love Katie’s four powerful questions! So, here’s what happened. I focused intently on who I was in high school. Awkward. Misfit. Unsure. Afraid. Uncomfortable. Vulnerable. And then I asked myself the questions. Question #1: Is it true? Answer: Well, sure. I was there. I should know! I remember very clearly being all those things. Question #2: Can you know with certainty that it is true? Answer: With certainty? Hmmmm. I felt awkward. I clearly remember that part. But was I really awkward? Would a reasonable, objective observer find me awkward? When you put it that way, maybe . . . just maybe . . . it might not be completely true after all. With that admission, I felt my thinking begin to shift. I was ready for the next question. Question #3: How do you feel when you think those thoughts? Answer: Well, that’s easy. I feel like crap! Next question! Question #4: Who would you be without those thoughts? Answer: Oh, my! It’s hard to say. I’ve had those thoughts for 40+ years. Who would I be without all that judgment, condemnation, and self-pity? I suppose without thoughts of “awkward misfit,” I might be free to just be myself, my own unique brand of me. No shame. No apologies. Who else could I be, anyway? I allowed the shift to percolate, and within a few days, I found myself wanting to know more about what a reasonable, objective observer might notice about who I had been at 17. That’s when an idea struck with such power, I couldn’t do anything else until I acted on it. I needed to read my diary. But not just read it. I would become that reasonable, objective observer. I would pretend I was reading a book written by someone else. I would approach the book with curiosity, setting aside everything I thought I knew about this young woman. And I would let her talk to me. Weeks later I e-mailed my sophomore year locker mate, who teaches English at our old high school. She had been involved in organizing previous reunions. Will there be a reunion this year? Oh, good! I want to go. But then I didn’t want to go. Later I got curious. Who do you suppose would be there? 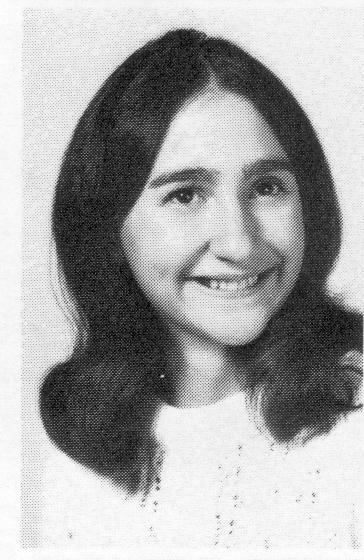 I pulled out my old yearbooks, looked at the pictures, read some articles. Then I started reading all the things that people wrote in my yearbooks, and I changed my mind. I didn’t want to go. Later I remembered how much fun it had been to connect on FaceBook with a few people from high school. Yea, I think I want to go. Plain and simple, I just didn’t like remembering who I was or what I was like in high school. Awkward. Misfit. Unsure. Afraid. Uncomfortable. Vulnerable. Yuck! I didn’t want to be reminded! I didn’t want to admit to ever being THAT! What is it about my inner wisdom and alliteration? It’s always saying things like “Go and Grow!” all perky and excited and happy, like it was a trip to the beach. As Divine Perfection often manifests (i.e., “as fate would have it”), that very week I was taking a class that focused on Divine Guidance. Homework involved listening for and then following our inner wisdom. Well, if it would meet the homework requirement for the week, why not? So I took a DEEP breath, booked a flight, a room, and a rental car. That was easy.